Opponents of the mass fluoridation of water will next week try to stop a government drive to add the chemical to supplies used by millions of people in England and Wales. The verdict on a small scheme covering 200,000 people in Southampton and southwest Hampshire will help shape public attitudes to far bigger proposals countrywide, and the South Central Strategic Health Authority's decision could potentially make ministers rethink plans to implement fluoridation. Authorities in northwest England are among those next in line to bring forward proposals. Attempts to increase fluoridation stalled for more than a generation after local councils lost control over public health in 1974 and water supplies were privatised, but a law change at the end of 2003 allowed health authorities to order, rather than ask, water companies to add fluoride. So far about 5.5 million people, a ninth of the population in England, live in areas with added fluoride and another 500,000 with equivalent levels where the chemical occurs naturally. The Scottish government decided against letting local authorities decide on adding the chemical more than four years ago. The Isle of Man dropped the idea last summer. Supporters say added fluoride cuts tooth decay and reduces health inequalities between rich and poor areas, with the benefit spreading to adults as well as children. They say it could save infants with poor first teeth facing traumatic operations to remove them at a cost to the NHS of £500 a time. Fluoridation has long been used in the US and England's West Midlands and has shown no evidence of being harmful. Opponents object to what they see as mass medication, pointing to potential risks including lower IQ in children, bone cancer and hip fractures in the old. Adding fluoride to toothpaste has raised levels in people's bodies, they say, and evidence for water treatment cutting decay is not clear-cut. Southampton primary care trust has prompted the latest argument over fluoride, forcing a consultation. Hampshire county council opposes the idea. Southampton city council supports it. Barry Cockcroft, chief dental officer for England, said fluoridation "is the perfect public health measure because people with the greatest need benefit most and most people benefit to some degree". Defeat in Southampton "would be disappointing", but would not stop other authorities investigating the idea. Mike Lennon, chairman of the British Fluoridation Society and professor of public health at Sheffield University, was less sure. A number were "sitting back and waiting to see what happens in [Hampshire]. If it is successful, I suspect they will go ahead. If it is not successful, then I suspect Barry Cockcroft and others will have to go back to the drawing board." Fluoridation was a "mass measure", not mass medication, Lennon insisted. "In Hartlepool, where there is fluoride naturally present, you don't call it a medicated water supply," he said. Breakfast cereals had added vitamins, he went on. "You call them supplemented or fortified." Stephen Peckham, reader in health policy at the London School of Hygiene and Tropical Medicine, and a member of Hampshire Against Fluoride, said: "There is good evidence to demonstrate that, at a minimum, water fluoridation will lead to increased levels of dental fluorosis [staining] of a moderate or severe nature. In addition, evidence suggests that further health problems are likely to occur due to overexposure to fluoride ... There has been no discussion of the complex ethical issues that water fluoridation entails." 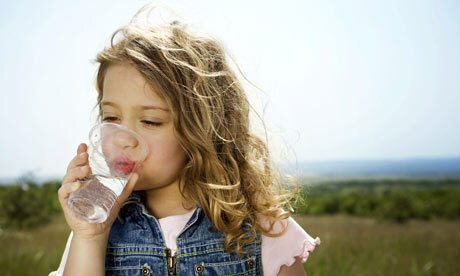 The National Pure Water Association said that fluoridation was "an outdated concept". • In fluoridated areas there are 15% more children who are "decay-free"